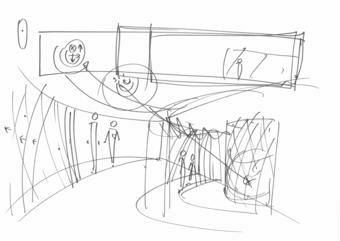 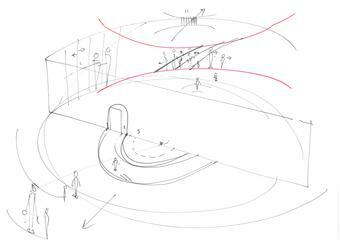 Map for unthought thoughts occupies a semicircular space whose long axial wall is covered in mirrors to give the impression that the space is a full circle. 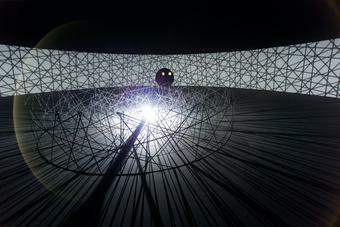 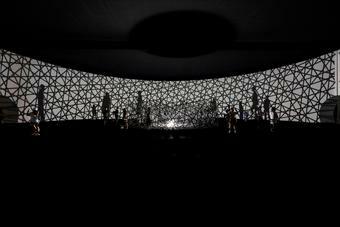 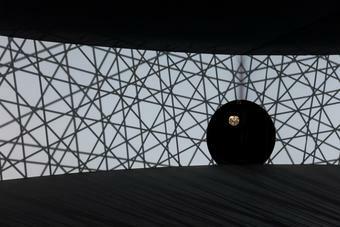 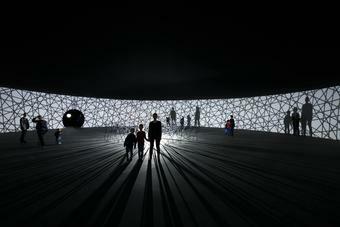 At the centre of the room, a slowly rotating light shines from the base of the wall through five curved, concentric fences. 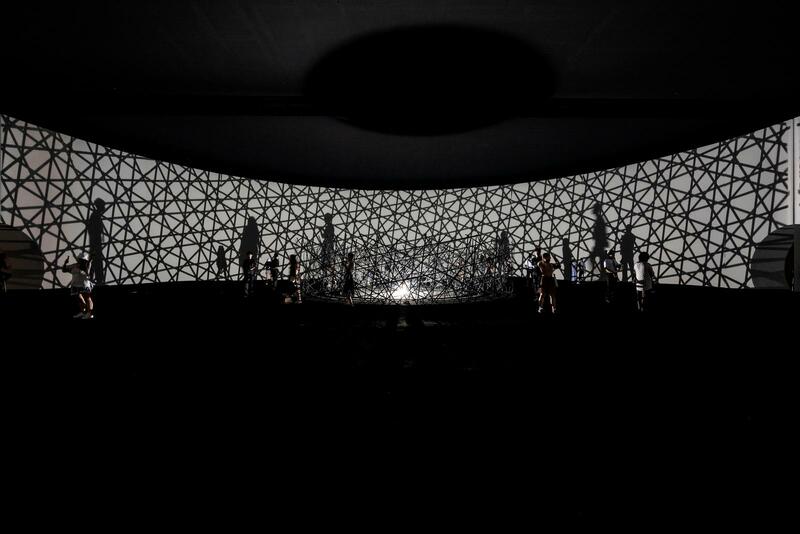 Each fence consists of a different arrangement of crossing steel bands; the shadow cast by all the fences taken together forms a fivefold symmetrical pattern on the room’s curved white wall. 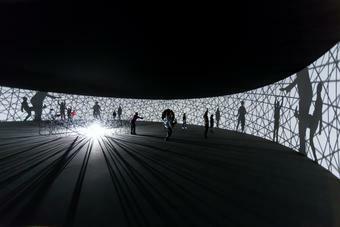 As visitors pass through the space, their perception of the fences’ alignment shifts. 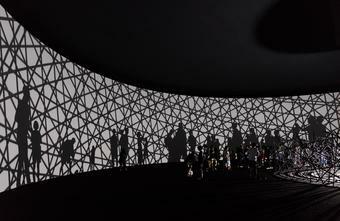 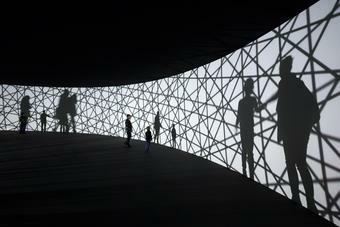 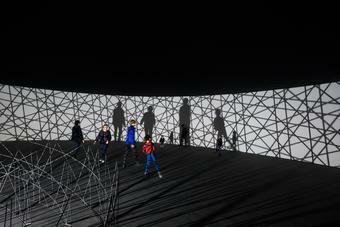 The shadow pattern cast on the wall and the size of the visitors' own shadows undergo constant transformation. 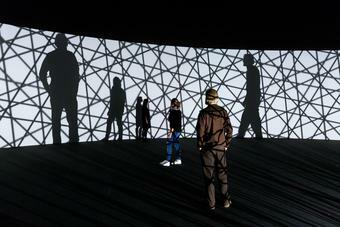 The work continues Olafur Eliasson’s long-standing interest in fivefold symmetry, which first began through his collaboration with Icelandic geometer Einar Thorsteinn.